As a youth, his family moved from their home state of Oklahoma to the state of Washington, where his father worked as a chemical operator in the now infamous Hanford plutonium factory. After five years in Richland, Washington, and realizing the hazards his fathers employment presented, the family relocated to Albuquerque, New Mexico, and the rich tri-cultured environment of the Southwest. 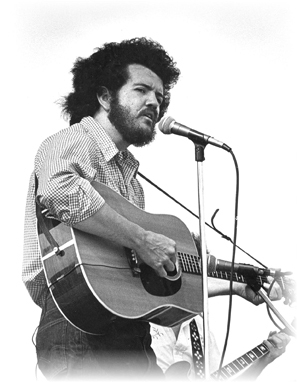 After graduating from the University of New Mexico with a degree in fine arts, and after encouragement from Pete Seeger, whom he met when the folk legend was performing at UNM in 1967, James began writing songs that drew upon the culture of the Southwest that he experienced growing up. These early songs eventually became The Road To Torreòn, a saga of life and death in the Chicano villages of northern New Mexico. These powerful songs sat on the shelf in Nashville until the German Bear Family Records finally released the project in a beautiful box set edition in 1992, over twenty years after it was originally written. It is a moving collaboration of photography and music, akin to James Agee and Walker Evans’ Let Us Now Praise Famous Men, with a photographic essay by James’ lifelong friend, renowned photographer Cavalliere Ketchum. Although never released in the United States, it is still available as an import at Amazon.com. In 1968 James moved from Albuquerque, New Mexico to Nashville, Tennessee to try and get his songs recorded. Shortly after the move he met his wife, Janice. “I looked across the conference table one morning at a staff meeting and saw this incredibly beautiful young lady with long dark hair and the darkest sparkling brown eyes, which displayed her native Cherokee heritage. 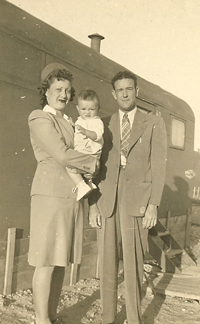 I was instantly swept off my feet.” He and Janice were working at the time as caseworkers at the Tennessee Department of Human Services – a job James had worked at for a year in New Mexico prior to his move to Nashville. “She was stunningly beautiful and incredibly intelligent. We went together for a couple of weeks, and I simply couldn’t ever imagine being with anyone else. I asked her if she would marry me.” She said, “Yes, but shouldn’t we wait a little while?” “We waited another two weeks and went to see the judge. We have been through a great deal together – some very good times and some really tough times, but she is still the light of my life.” James and Janice have been married for over forty years and have two sons, Reuben James and Justin Louis. Upon moving to Nashville, James discovered that the commercial music business was not attuned to the kind of honesty he wrote about in his songs, so he went to New York to meet the late John Hammond, who became his first mentor. Hammond championed the unique vision in his writing in the early 1970s as he had the careers of Bob Dylan, Leonard Cohen and Bruce Springsteen. Hammond, however, could not convince Columbia in New York to sign James’ more country-flavored sound, so he sent him to his friend Jerry Wexler, whose Atlantic Records was starting a new Country division in Nashville at the time. Wexler signed James to his first recording contract at Atlantic Records in 1972 along with Doug Sahm and Willie Nelson. Atlantic’s Nashville operation, however, did not do well at the time and Atlantic closed its Nashville office. James then moved to Capitol Records where he released four now legendary albums during the mid-1970s: Got No Bread, No Milk, No Money, But We Sure Got a Lot of Love (1975); Tryin’ Like The Devil (1976); Blackjack Choir (1977) and Ain’t It Somthin’ (1977). ROLLING STONE, and other music publications, have declared these albums American classics. 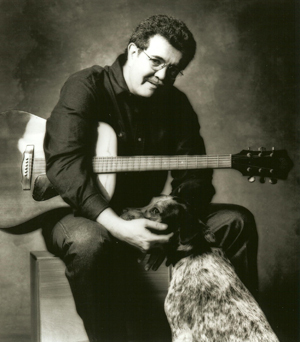 During the 1980s James recorded two albums that were released by the German Bear Family Records, American Originals (1985); and Love Songs and The Blues (1989). During the 1990s, James finally released The Road To Torreòn (1992); James Talley: Live (1994); and Woody Guthrie and Songs of My Oklahoma Home (2000). He released Nashville City Blues, in July 2000, and was named Amazon.com’s Folk Artist of the Year 2000. In 2002 he released, Touchstones, a re-recording of some of the classic songs from his four 1970s Capitol Records albums, and in 2004 he released Journey, a live in-concert project recorded while on a tour of Italy. In 2006 James’ acclaimed first Capitol album, Got No Bread, No Milk, No Money, But We Sure Got a Lot of Love, was reissued in a 30th Anniversary edition. It was named in the Top 10 reissues of 2006 by No Depression magazine and the Nashville Scene. In August 2008 James released fifteen new songs and a re-recording of his classic, “She’s The One,” which Moby recorded as “Evening Rain,” on his new CD, Heartsong. Simultaneously, he also released the second volume of his live 2002 concert recordings from Italy – Journey: The Second Voyage. In the spring of 2017 James’ classic second Capitol Records album, Tryin’ Like the Devil, was released in a special 40th Anniversary edition. All of James’ CDs are available either as physical editions, custom editions, or downloads at www.jamestalley.com and on iTunes, Amazon.com, and other music download web stores around the world. James is a life member of Nashville Local 257, American Federation of Musicians, and is a board member of the Nashville American Federation of Television and Radio Artists. He and Janice spend their time now between their home near Santa Fe, NM and Nashville. James continues to perform throughout the United States and the world on a limited touring schedule, and the music on James’ CDs continues to receive airplay throughout the world.